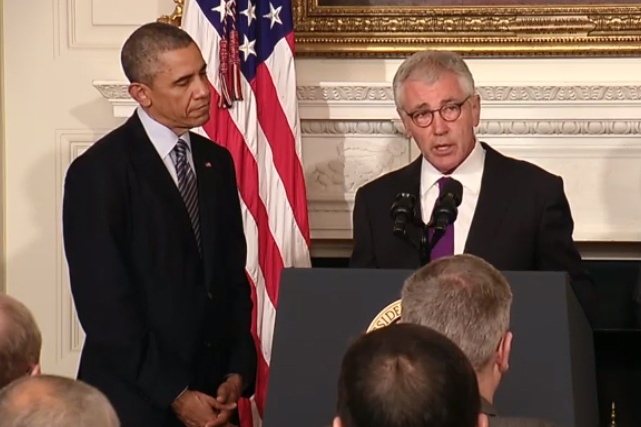 Last week it was announced that Secretary of Defense Chuck Hagel would be stepping down from his post at the Pentagon. His resignation was announced Monday morning (11/24) in a small White House conference. THERE ARE NO EASY ANSWERS TO TODAY’S GLOBAL CHALLENGES! Yes, we are living in a world where there are no easy answers to the most difficult challenges we face beyond our borders. These include Syria, North Korea, Iran, the continued unrest in the Middle East not least including dealing with Egypt’s turmoil, the Israeli-Arab peace negotiations, and the whole Arab Spring. Not least also is the pernicious impact of the gap between the very rich and those living in poverty around the world. One of the great nexus of danger and difficult is the triangle of Pakistan-India-Afghanistan. This is highlighted by the current visit of the Pakistan Prime Minister Nawaz Sharih to see President Obama. They will have a very full agenda since relations with Pakistan are in grave difficulty partly due to the continued efforts by the Pakistan military in support of the Taliban who are fighting us in Afghanistan but are given support and sanctuary in Pakistan. We have had a long standing “love-hate” relationship since Pakistan has been cooperating with us on a number of issues and yet duplicitous also in their dealing with us and Afghanistan. Not least has been their anger over the U.S. drone attacks and our killing of Bin Laden. Yet both nations have strong reasons to cooperate and each needs the other in a host of different issues and problems areas. But the reality of Pakistan is very complex and contradictory. Most important they are a nuclear weapons yet unstable and violence prone state, which has been in conflict with its larger neighbor India who also is a nuclear armed state. Kashmir was been the focus of much of the enmity and distrust and efforts to solve this problem have only resulted in leaders on both sides getting hurt domestically. Terrorism has been especially a weapon in this dispute aimed mostly at India. Yet Pakistan is more threatened by home grown extremists. Both Pakistan and India are competing for influence in Afghanistan while that country continues to be a unstable pawn in the many aspects of regional rivalries. Why should we care? The most urgent issue in this triangle is not Afghanistan which is mostly a secondary but difficult problem compared to the impact on global security and stability in the region of the India-Pakistan strife. Pakistan is the main problem and the India-Pakistan conflict is far more dangerous on a global scale. India has more than a billion people and a strong army and nuclear weapons but it too has political divisions between two main parties and an election coming up next May. But the road to some agreement to solve the conflict between these bitter rivals is a very hard one and has had many disappointments. What clearly is need is restraint first on the existing arms race which contributes to insecurity on both sides. Here we should try to help if possible through diplomacy and perhaps some inducements to cooperation. The effort to open up trade between the two countries has stalled but advances in mutual trade could help not only the failing economies of both but also bring them closer to other areas of cooperation. The time also has come to at least dampen down the Kashmir question and find some step by step means to first reduce attacks by both sides and to set up some process that gives assurances for both sides. Already efforts are at work to recreate some kind of cease-fire, but beyond that a durable reconciliation process is needed. For America the paths to solving these difficulties are not clear. U.S. aid to Pakistan is seen by India as a threat and vice versa. The militaries of both sides see advantages in continued antagonism. Yet some kind of a wider regional “agreement” or regional “understanding” which protect the interests of all actors in the region might help this process creating more stability, economic growth, and a concerted effort to end terrorism. It is on this concept of a wider understanding that America and president Obama and Secretaries Kerry and Hagel might have some leverage and influence. It would be however very heavy lifting given the animosity by all sides. But in the end Pakistan, India, and Afghanistan leaders, political parties and military will need to see the advantage of a wider compact of cooperation and mutual security understandings. The alternative is continued unrest, economic stagnation with loss of trade and investment, growing poverty of the people most impacted, and most dangerous, war by nuclear weapons states and continued threat to all of stability by growing unrest and terrorism. President Obama gave at the U.N. General Assembly his best speech on America’s role in the world since his Prague Speech at the start of his first term. It gives not only his perspective of the kind of world we face but also his prescription for engagement in that world. It was both bold and cautious. While acknowledging the limits of unilateral American power and the use of force, it did not flinch from accepting America’s responsibility for global leadership and caring about the dangers beyond our borders. He outlined in a way few presidents have before and stated, frankly, the challenges of the shifting and still dangerous international environment our nation and the world faces. In particular, he laid out in some detail just what are the problems, constraints and the need to deal with the Syria conflict. He correctly indicated the great creative acts of America after World War II as an example of America’s role in world affairs. At the same time he noted that democracy could not be imposed by military force. He said that cooperation in the Middle East and beyond could not be done without the cooperation of the states in the region and their people. Few leaders have so specifically recognized in public the difficulties of finding just the right option, the most efficacious path, and doing the least harm. But abve all he called for more international cooperation. Despite real doubts about the honesty of the Russians and Syria to truly give up their poison gas, he has decided to try the difficult diplomatic and UN Security Council tract, but also said that if that did not work he was prepared to act in any case. Another aspect of his speech was the long-term perspective he provided. He said that America was in the Middle East for “the long haul” but his whole view on all the key issues like economic equality, development, dealing with proliferation of weapons of mass destruction, and other foreign affairs problems were long-term subjects needing attention. The key element in his speech was a cry for the need of real multilateral cooperation and to work with other like minded states to solve a host of global challenges. In this statement was a quiet rebut to Europe, the Arab States, Russia and China. The latter two nations have made the United Nations a weak force to deal with mass killings and other global problems generally. Some people have raised the questioned if he can actually act to implement his objectives. As if Obama could simply raise his hands and the waters would part. I note especially the op-ed by Maureen Dowd “No Brief Encounter” in the New York Times on September 25th which was filled with nasty half-baked criticism of Obama’s foreign policies. Her op-ed focused narrowly on the so-called hoped for “handshake” between Obama and Iran’s President Rouhani which did not take place. Such myopic perspective seems to be the order of the day rather than recognizing that nothing in global politics is easy or immediately realizable. The truth is Syria remains a problem with great dangers and complexity and my judgement as a Policy Planner for three Secretaries of State is that the Obama/Kerry/Hagel team, as outlined in Obama’s speech, have in fact maneuvered adroitly in a fast changing unpredictable landscape. They got the Russians to sit down and negotiate (seen by some, wrongly, as a defeat), and have positioned America to act militarily if needed and have started to arm moderate opposition elements, perhaps too slowly in my view. They are opening a high level dialogue with the new Iranian President which is positive and kept their options open. In short, they have proceeded systematically and with care in situations where clarity nor surety exist. Oama himself said this about his problems and approach. Obama has many obstacles ahead including Republican intransigence and their indifference to American security or interests. Yet his explicit goals outlined in his two earlier key foreign affairs speeches and before the UN Generally Assembly yesterday, are ambitious but defined and see the world as it is not as we hope it would or should be. He has gone around Republican “climate deniers” by acting via executive powers to reduce greenhouse gasses. He has taken the pivot to Asia and started a key dialogue with China, has is pushing Trans-Atlantic and Trans-Pacific trade pacts, and he has sent Secretary Kerry, a most able diplomatic warrior, to take on the formidable task pushing for a Middle East peace agreement despite the odds. The final results on Syria are yet months, if not years ahead, but who has so far had a better and more careful plan than Obama? Yes, more can be done but with higher risks? In sum, with this speech there could not be more clarity on Obama’s foreign affairs agenda. With both his past accomplishments and now new efforts, all indicate he will not be sitting back waiting for his critics to pounce on either his inaction or action. He will try to do the things that will help our security and address key global challenges but knows the constraints and the imperatives. Better for us all. SYRIA – WITH OR WITHOUT THE “GAS DEAL” THE FUNDAMENTAL ELEMENTS OF THE CONFLICT HAVE YET TO BE ADDRESSED. UNCERTAINTY AND KILLING REMAIN. The advent of the most recent agreement between Russia and the United States on dealing with poison gas highlights the unpredictability of the Syrian crisis and also the continued uncertainty of its final ending. The poison gas deal remains highly unpredictable in terms of its goals and whether it will either work in the end or do much to change the horrific killing that continues. This is a time for some deeper thought and new creative efforts to end not just dangerous banned gas but the brutal killing and putting in place some semblance of security for the Syrian people. It is a plus for both President Obama and especially for Secretary John Kerry if the gas is controlled and destroyed according to the outline of the still vague agreement in Geneva. Unfortunately or fortunately it is a plus even for President Putin if he gets to keep Assad in power and prevent American intervention. Both sides say they want the Syrian gas that is dangerous to all at least destroyed. This game has so many levels and complexity that trying to see the path towards a resolution of the conflict itself seems still dim and chancy. The “postponement” or “ceasing” of an attack on Syria’s military capabilities means essentially going from one uncertainty into another. Sadly, no path to a resolution of the fundamental conflict is in sight let alone in hand. The problem of support for any meaningful action remains weak and citizens, political parties, and experts remain highly divided on which action or inaction should be America’s choice. The right word is that the U.S. and our NATO allies are conflicted on what to do. Bad news for effective action, perhaps good for careful decision-making. Obama has gotten also blame for both trying to act and for not doing what is need to stop the killing and get Assad out. Frankly, my sympathy is with him on the difficult options he has if not my agreement with some of his tactics and lack of clarity and frankness on his long-term strategy and goals. But I also know that a boxer does not telegraph his punches. This is a field of battle and acts of diplomacy each filled with un-intended consequences. Attacking only Assad’s poison gas and delivery and making capabilities, had one set of problems. And the forced hiatus of the Geneva Agreement between he U.S. and Russia creates another set of conditions which greatly limits the immediate range of kinetic and even diplomatic options on the realistic table to Obama and our allies. There are so many “conditions’ in the agreement that tie the hands of America and its allies for a inordinate period of time. One element of this “accord” is helping Assad continued at even higher levels the killing of more civilians which reportedly, in the last 7 days reached the horrific highs of 1,000. This leaves the opposition forces hanging and angry at us as well as many of our allies in the region. But the pressue on Obama by his critics and from Congress put him frankly in a box too small to act with strength. Diplomacy should aim primarily at stopping mass killing and finding a set of agreements which will create a durable peace and security for the people in Syria and those countries that are now on the front lines. This goal seems to have been lost in the focus on the poisoned gas question which, by itself, is laudable but solves little for the people on the ground or for reconciliation and security for Syria and the clash in the region between the Shia and Sunni which has been exacerbated by the Syria conflict. We should not be blaming Obama for taking up this option as it would have been irresponsible to try, but in the process it puts our best “stick” away when it is still needed to gain a comprehensive settlement and it gave impetus to the Syrian regime to increase its mass killing. It would have been better to have demanded a cease fire until the end of the year while inspectors carried out their tasks of securing the poison gas and also provided for humanitarian assistance freed of the danger of attack by any side. Perhaps this was discussed but if the Russian refused, it would have proved either their malicious intentions or limited leverage over Assad and his cronies. That last is dangerous to any progress. Further, and importantly, the insertion of inspectors and perhaps necessary international security forces to protect them, might lead to a wider insertion of international peacekeeping/peace enforcement troops aimed at the goal of establishing some “peace space” and at least a cease fire. If the agreement goes to the UN Security Council one wild hope would be to also authorize a U.N. protection force to both safeguard the inspectors and also to secure the poison gas sites from attack including from radical jihadists and creating wide “safe-zones” around the sites. But that is perhaps too much to ask given the fragility of the agreement already. However, who is going to protect the people going into a war zone? Here are the harsh realities, while everyone wants the killing to stop, but if we do nothing it will not stop and the killing will continue. That is a decision. The issue is not to either act or not act, in either case our choice will impact on the lives of the Syrian people. If we and others do not act, we will be implicated in the horrors that follow. If the killing continues it will likely spread throughout the Middle East in sectarian conflict which will have few bounds and destabilize many nations in the region which is already experiencing increased violence. The real question is what action can we take NOW to not only halt the use of poison gas but of the mass killing we are seeing AND help put in place a new government representing all groups and able, with the help of robust multilateral peacekeepers and monitors, to help create room for negotiations and reconciliation. The imperative is to act, and the lessen of the recent Geneva Agreement which even Obama and Kerry said was due to the threat of force, may require again the threat or use of international force to make all sides see the wisdom of peace with security. President Obama does need an end game of a path towards both getting rid of Assad and of creating a new broad and responsible governance. Even Russia one day might think this is in its interests. That will take a lot of diplomacy, and both carrots and sticks. It will take also time and real resources. It must be done in a way to minimize deaths but we are seeing now a maximum level of cruel butchery which the international community must stop. Frankly, we are de facto the only actor that can lead such an effort, but we are tied down by our corrosive politics and recent war history and a recession hit and war weary citizenry. On the same day the administration released an unclassified intelligence report on the use of chemical weapons in Syria. Dumbfoundly, some bloggers and citizens leaving their comments on web sites still maintain that there was no proof of such use and governments hinted that the rebels might have been the cause. At this point such assertions are absurd and beyond credulity. What is certain is the acts were by the Assad government and that over a 1,400 people, including many woman and children were killed. “Read for yourselves the evidence from thousands of sources,” Mr. Kerry said in vigorously laying out the administration’s case for a strike on Syria. “This is the indiscriminate, inconceivable horror of chemical weapons. This is what Assad did to his own people.” Yet, despite that barbarity, the administration made clear that any strike was only to punish for use of an internationally banned use of poison gas rather than regime change or getting rid of Assad. Public opinion polls are showing major opposition from citizens for an attack. As this is being written Secretaries Kerry and Hagel have already made there presentations to the Senate and are now making their case to the House. These were strong points and news reports said they have gain some bipartisan support in both houses of Congress. But there is still demands to either severely limit any action by the U.S. on one side and to insist on broader action including regime change and major enhanced assistance to the Syrian opposition. My own feeling is that there will be continued killing of horrendous scale unless President Bashar Assad is removed and some kind of negotiated settlement is developed and agreed. There are voices saying that the rebels are worse, mostly Jihadists. Yet other observers are saying that the moderate elements make up a majority of the real fighting elements, but are not well armed or organized. What is sure is uncertanity. Thus, one of the great questions and undoubtedly part of Obama and his team’s calculation is whether to act to seriously degrade Assad’s military so that the rebels have a good chance of prevailing. But given the constraints on Obama by Congress and others we have to accept that what raises from the ashes could be essentially Al-Qaeda clones who can use Syria as a base for further terrorist attacks throughout the region and perhaps even reaching Europe and the U.S. If we stand down however this outcome is a certainty unless Assad kills most of his own citizens or drives them out of the country. My own policy planning strategic view is that if one is fearful of either keeping Assad in power or letting the Al-Qaeda types take power in a demoralized and battered Syria, one would have to find a expanded option and commit the power and resources on the ground to carry it out, to ensure that the outcome likely results in the formation of a relatively responsible and moderate opposition made up of all of Syria’s groups and guarantee security to all elements. I still believe that we need the discipline of creating a “peace” context using a international peacekeeping force that is made up of a robust and diverse but well trained peacekeepers/peacemakers. Here the resources of Europe, and the Arab League nations and others would be of great help if they were willing. Many believe we don’t have the wherewithal for creating the conditions for this kind of end-game, but frankly, if carried out with wisdom, and not stupidity, there is at least a fair change the outcome would be better than Assad or Al Qaeda in charge of a chaotic and revenge filled nation. The next months will test this nation and our internatioal community if it can at last do it right. I can’t fathom these issues have not been discussed and some policies and strategies developed to deal with these “unintended” yet conceivable consequences. It was the blindness of the Bush II types that made it impossible for them to understand what any good general in the field would have worried about, and the result in Iraq was a debacle which does not have to be repeated. Last week at a Carnegie Endowment meeting, a wise retired career Ambassador Edward P Djerejian discussed the Baker Institute at Rice University report, “Re-Engaging the Israelis and Palestinians: Why An American Role In Initiating Israeli-Palestinian Negotiations Is Necessary and How It Can Be Accomplished.” It was an insightful and thought out perspective and it was contrary to those in Washington and elsewhere who have argued against American peace efforts. We have often argued here for a more engaged American diplomatic stance for a long time. The question asked at the meeting was whether President Obama was fully engaged in a true full court press on Middle East peace. The response was that he had “internalized” the issue and his schedule and that of his two key national security people, namely Secretaries Kerry and Hagel were fully engaged. 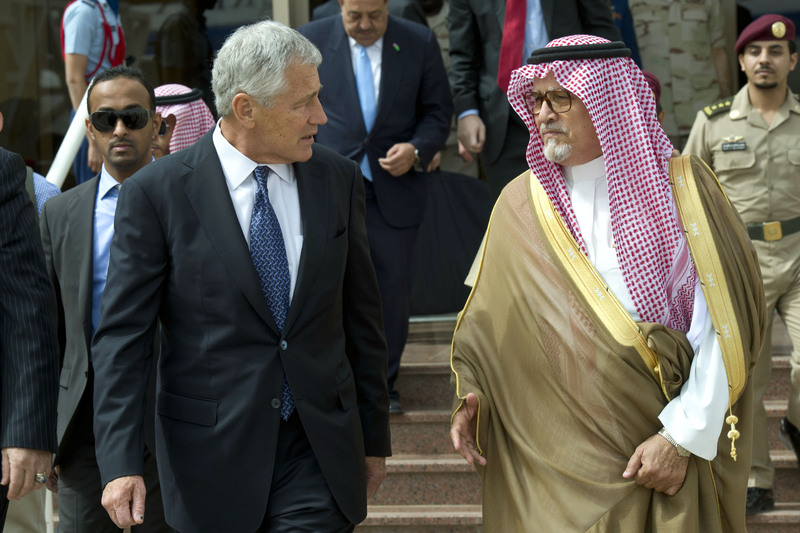 Hagel is heading this weekend for the Middle East with stops in Israel, Jordan, Egypt, and the United Arab Emirates. The Middle East peace process and Iran as well as arm sales will be key topics. Kerry has already been in the region as well as Obama’s trip to Israel in which he made a major speech giving his perspective in honest and, at moments, direct terms, reaching out to the Israeli public to argue that peace is better than war for Israel. Interestingly Amb. Djerejian mentioned in his talk the documentary file “Gatekeepers” (which we have previously mentioned at RNS) in which Israeli top former security agency officials both noted the increasing security dangers to that nation and the disastrous policies followed by Israel given the reality of the regional landscape. Against this background, news reports are reporting that Prime Minister Netanyahu, in talking with the BBC, said that Israel is ready to strike Iran unilaterally if it is the only option to stop the Islamic Republic from gaining nuclear weapons. This was said against a background that Iran officials have threatened Israel and indicated they may enrich uranium to a 50% level, which has no legitimate peaceful use, but moves further towards weapons grade. These developments only emphasize again the need for a peaceful and diplomatic solution to this critical issue, rather than starting an all out war that would be a catastrophe for all. Often those who argue for “war” do not talk about the resulting likely aftermath for citizens and society on all sides. The sound of “war drums” seems to increase on all sides as both Iran and Israel sound stupid and hysteric giving warnings and threats. In the United States, the Congress that cowardly defeated a common sense and needed gun limiting legislation voted, on the other hand, for a belligerent stance towards dealing with the Iranian issue and indirectly a blow to seeking a regional Middle East peace construct. On Tuesday, the U.S. Senate Foreign Relations Committee agreed unanimously to legislation to go to the Senate floor affirming U.S. support for Israel in the event that Israel has to unilaterally take military action against Tehran. The bipartisan language emphasized the shared danger that Iran represents to both the U.S. and Israel, it pledged “diplomatic, military, and economic support to the Government of Israel in its defense of its territory, people, and existence.” Administration officials tried to underline that the resolution expressed support for unilateral Israeli action, rather than a commitment for U.S. action. This leaves us with a measure of ambiguity and of asking if both Israel’s and American’s vital security interests will be compromised by perceptions and mindless actions, which will create a regional tinderbox for all. My view is that a war on Iran will serve those who do not want a Middle East peace as the results of a unilateral strike by Israel without firm indications of imminent major danger from an Iranian existing nuclear weapon capability. Such an action in the mind of some who do not accept the “Two State” road map see such action as vitiating any hope of a large Middle East peace compact and only causing horrific conflict against Israel. The best answer remains the diplomatic path and many with considerable experience in this region rightly argue that a major and direct U.S. presidential involvement and engagement is needed. Along with this is a major effort to seek to calm the drumbeats for war with Iran, a reinforcement of negotiations, and if needed, serious “sticks and carrots” to move towards an agreement with Iran on nuclear weapons. The world is a glowingly dangerous place, no time for silly threats and dangerous nuclear weapons development, and least of all mindless strategies aiming at conflict rather than avoiding it.